CivilizationEgyptian, Ramesside Period, 1100 B.C.E. 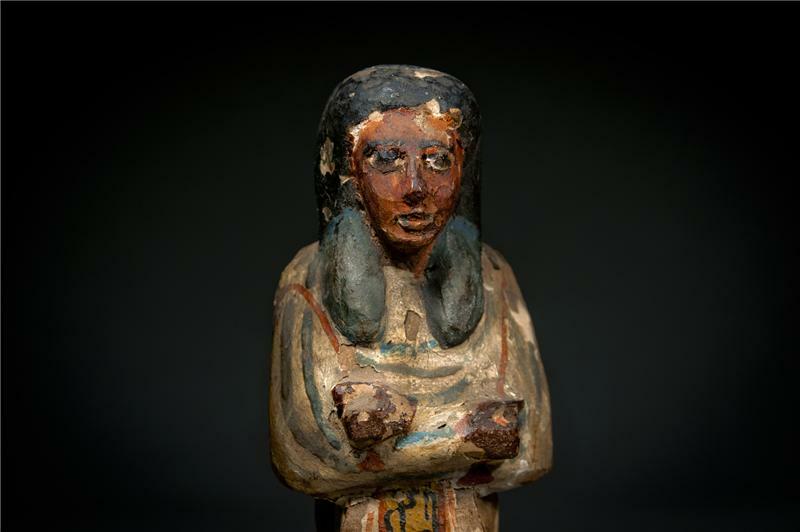 An Egyptian wood painted ushabti for lady Anhai, the chantress of Amun There is a scene in the Book of the Dead where Anubis is found weighing the heart of a priestess named lady Anhai. The image is striking because it shows the young Anhai as she is being led to the afterworld even though she retains her youthful vigor and beauty. 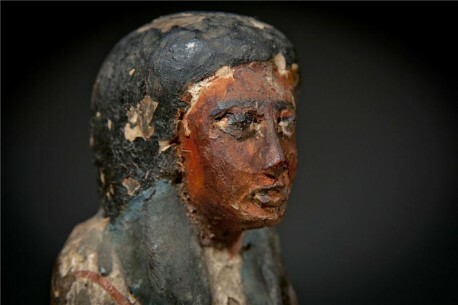 The powerful story of the beautiful Anhai on her journey to the afterlife was well known to ancient Egyptians, which is why this funerary figurine was made in her image. 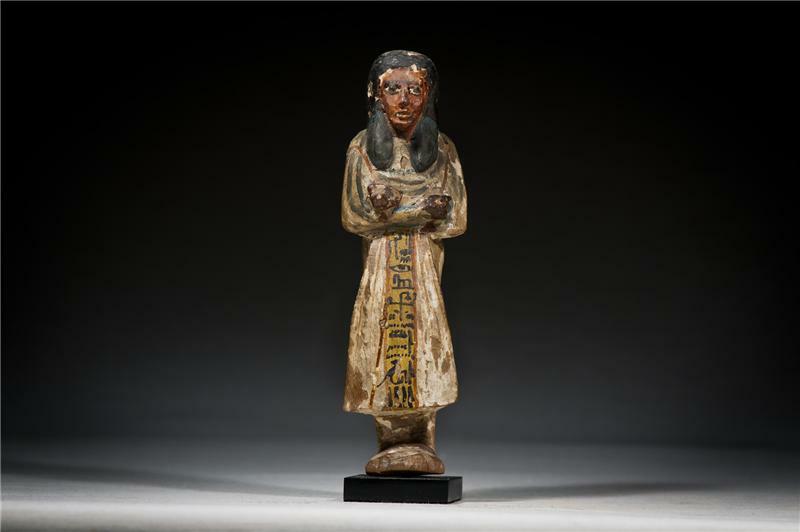 Figurines such as this one were known as ushabti, which were placed in tombs and were intended to act as protectors of the recently deceased. 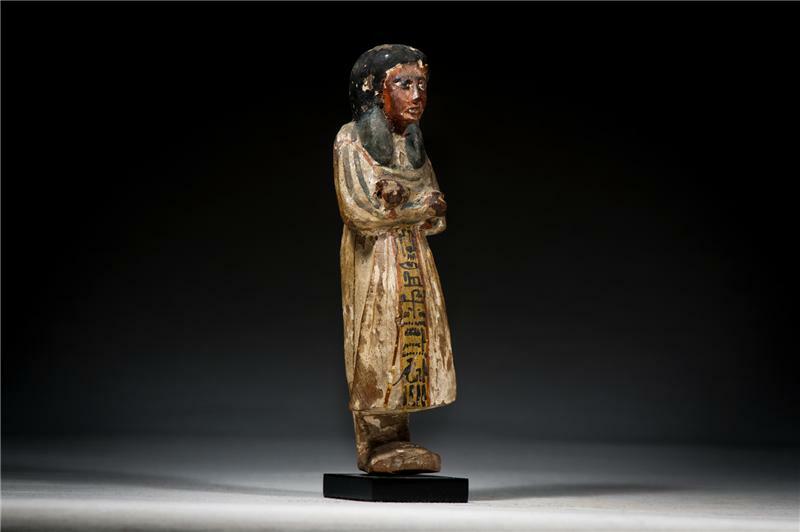 This wooden ushabti was meant to represent Anhai herself, both in tribute as well as to appeal to the young priestess for a safe journey to the afterlife. 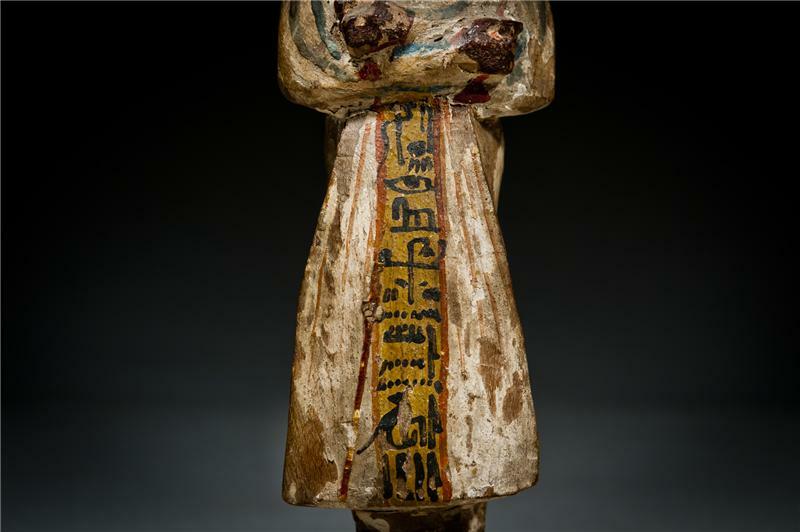 The woman’s dress bears a vertical band of black hieroglyphs on gold backing, while the dress shows faded strips of blue and green to liven up the figure. Her dark hair falls thickly on thin shoulders, while her face is almost pleading as it gazes forward in a forlorn expression. Her arms are particularly expressive, wrapped tightly against her chest and seemingly locked against one another in a protective display of force.